The picture above is a photo taken from the space station during the night of the Japan, China, Manchuria (was), South Korea and North Korea. 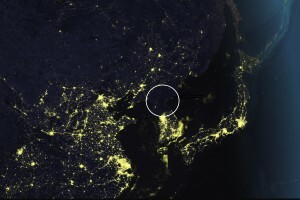 Notice North Korea, in the circle, and the amount of electrical lighting. The lighting is in yellow with heavy concentrations around the major cities. 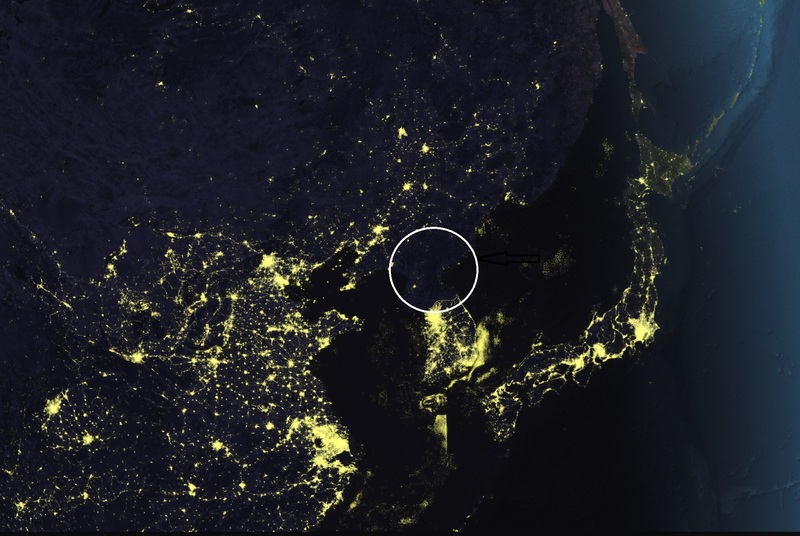 There is basically one dot of light emanating from Pyongyang in North Korea. Pyongyang is the small dot at the 7:30 position. This is the ideal goal for the world wide environmental lobby so let’s get rid of the fossil fuel’s and turn out the lights.